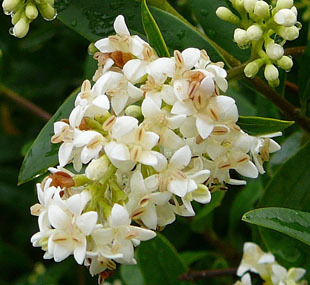 It grows in hedgerows, woodland and scrub. It can also be a garden escape and a relic plant. 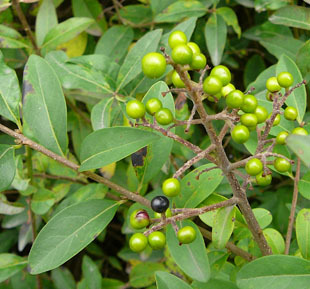 Wild Privet is a native, semi-evergreen shrub growing up to 5m. 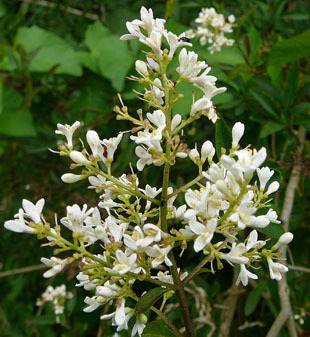 Creamy, white flowers are in panicles (spikes) up to 6cm. 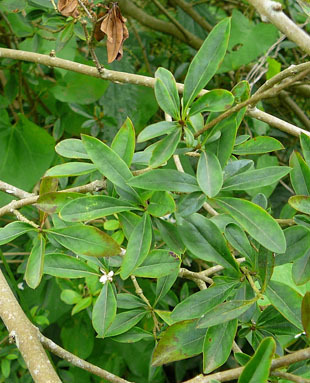 either shorter or the same length as the limb. divided part of the flower. The flowers are sweet smelling. 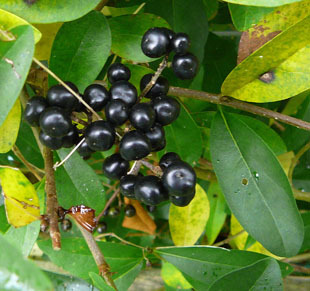 Fruits are black and oily when ripe. 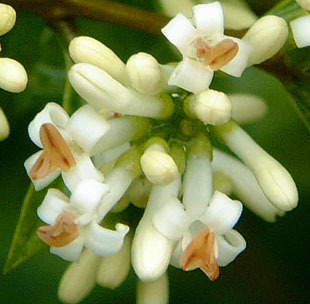 the divided part of the flower is 2-3 x longer than the tubular part. 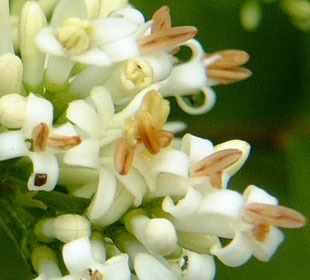 The anthers do not overtop the corolla. usually a garden escape or a relic of cultivation.